This is an interesting image for me. 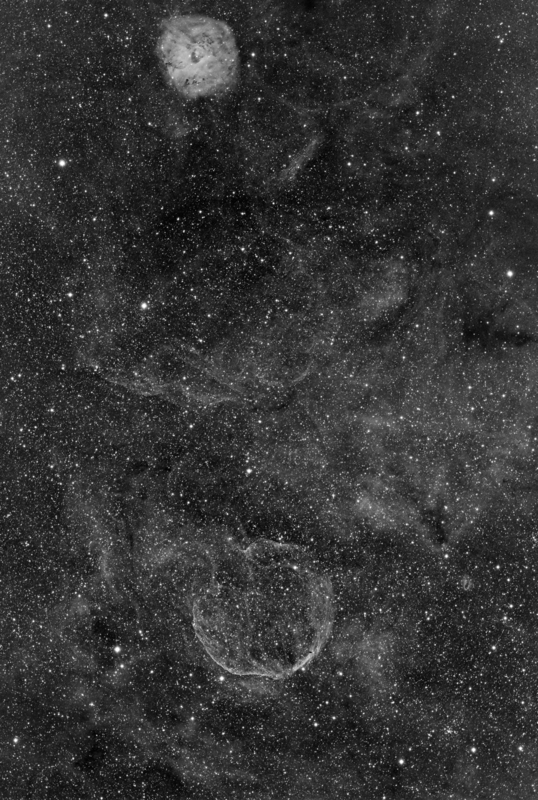 It shows the supernova remnant CTB1 at the bottom of the picture. 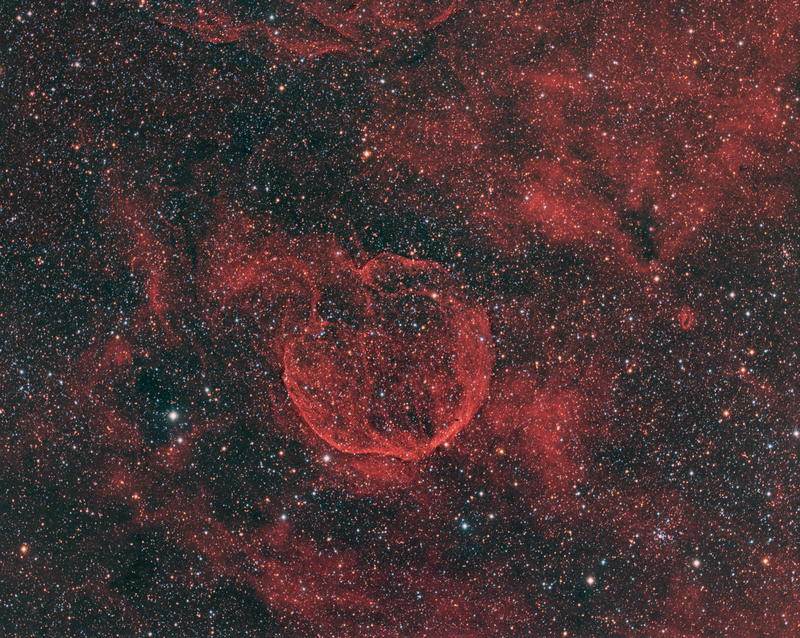 In the middle of the image there is an area of new filamentary structures which is a candidate for a new supernova remnant. At the top of the picture is Sh2-170. 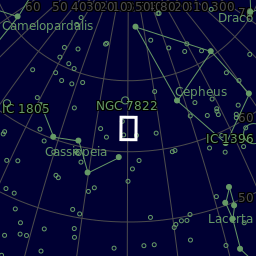 This particular SNR was catalogued by George Abell as a planetary nebula in his now well-known catalogue as Abel 85 but it was suggested by van den Bergh in 1960 and confirmed by Willis & Dickel in 1971 to be, in fact, not a planetary nebula but rather a galactic SNR. CTB 1 is approximately 9784 light years away and physically spans another 98 light years in diameter while it is dated to be approximately 10,000 years old. The area top left of CTB1 has been confirmed as a shell rupture. This is a two pane mosaic of the area. 38x300s Red and Blue and a false green channel.